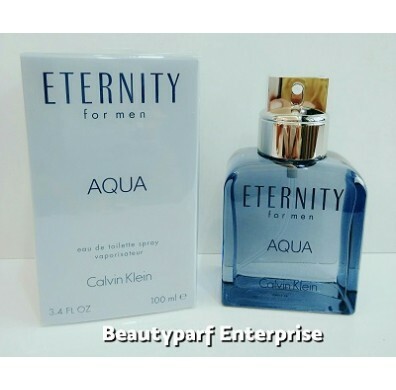 CK Eternity Aqua for Men, a new fragrance which arrives on the market in 2010. The new fragrance was created with an intention to presents a new face of Eternity edition for men, highlighted with a modern, casual, aquatic-woody composition. 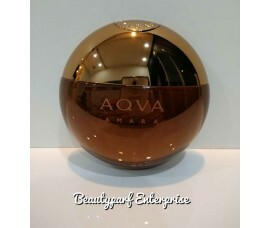 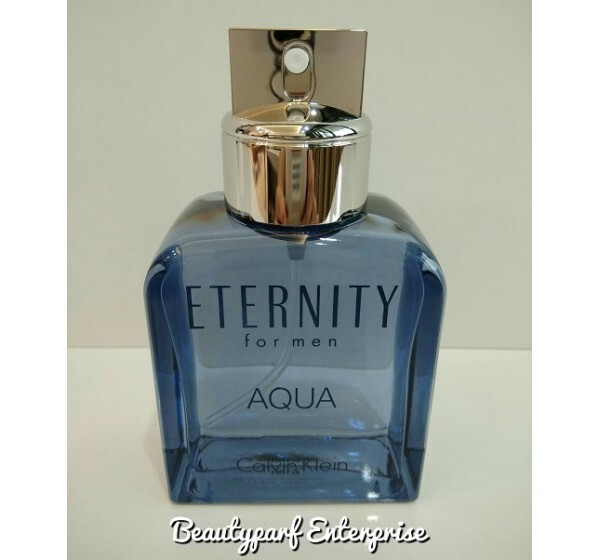 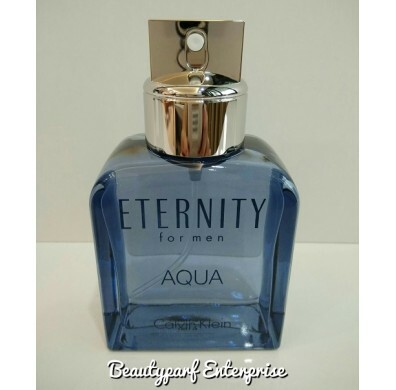 Eternity Aqua for Men opens with accords of cold cucumbers, citruses, lotus and green leaves. 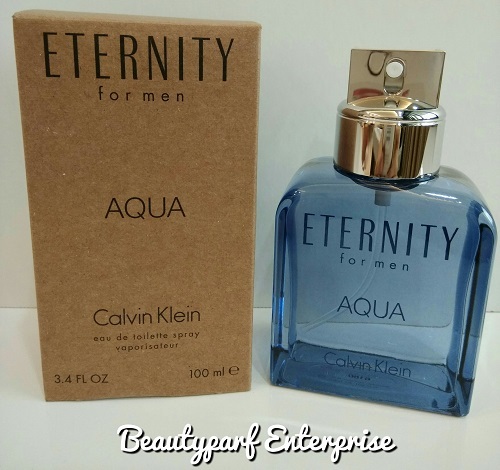 A heart blooms with a union of Sichuan pepper, Mirabelle plum, lavender and cedar, while a base finishes with sandalwood, Guaiac wood, patchouli and musk. 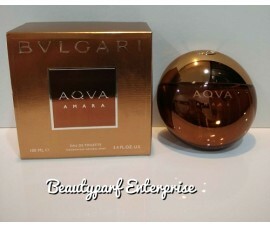 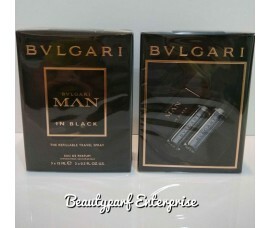 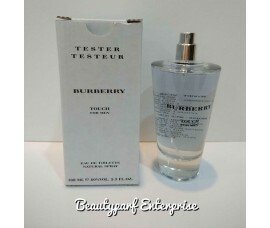 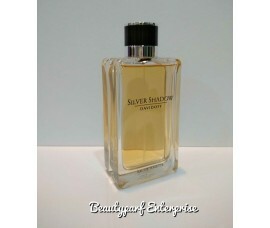 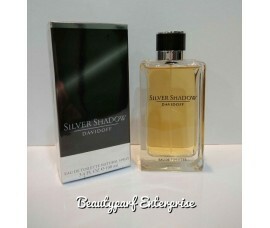 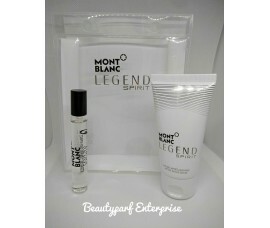 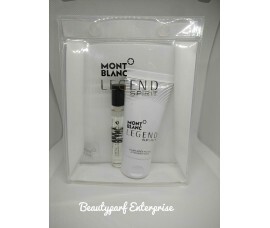 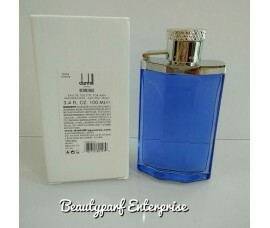 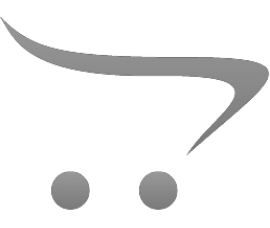 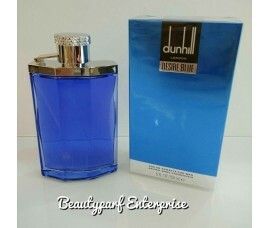 EAU DE TOILETTE SPRAY available in 100ml & 200ml size.